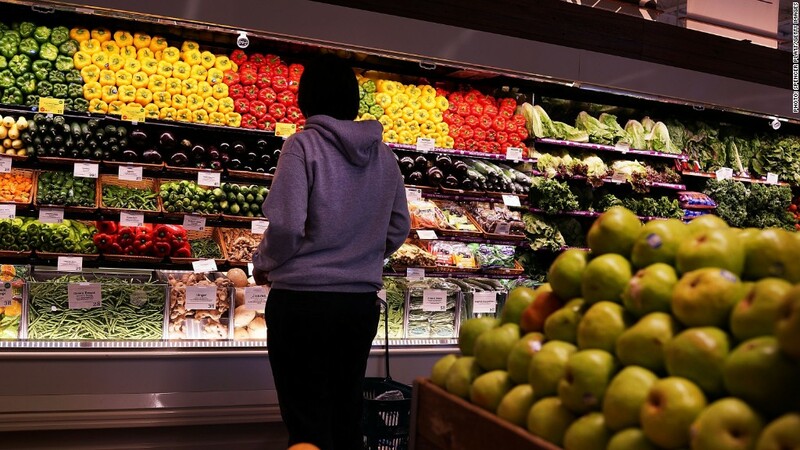 Whole Foods wants you to know if your food environmentally sound. Is your food environmentally sound? That's a tough one to answer in the produce aisle of a grocery store. But Whole Foods wants to help. The organic supermarket chain introduced new ratings Wednesday that will tell shoppers whether their vegetables, fruits and flowers were grown with the environment's best interest in mind. The "Responsibly Grown" ratings, developed with the help of scientists and farmers, are based on a wide range of criteria such as the use of pesticides, water conservation, waste reduction and treatment of farm workers. They will be color-coded as Good, Better and Best. These ratings will be in addition to existing certifications for organic produce. Whole Foods (WFM) said the ratings are designed to promote farmers to use environmentally friendly techniques. Whole Foods says an estimated 5.2 billion pounds of pesticides are used globally each year, while agriculture consumes 70% of the world's fresh water. It also says that industrial farming has led to an increase in greenhouse gases and an alarming decline of "pollinators," such as bees and butterflies. Whole Foods has been at the forefront of the shift in Americans' eating habits towards organic produce and dairy. But Whole Foods in not alone. Earlier this month, Wal-Mart (WMT) announced a new commitment to sustainable food production with four "pillars" that include affordability along with improved food safety, worker safety, and animal welfare.